It's never a good sign when City Light gives estimated restoration times in dates instead of hours. There's an unfortunate number of customers on this map whose power is not expected to be restored until tomorrow 2-13-19. And a fairly large number whose estimated time still reads at 11am today. It may be that the crews have not called in and the map is not current. For the sake of our neighbors, let's hope that's the case. This map shows all the way to Maple Leaf, south of Northgate because there didn't seem to be a logical stopping point at our city boundaries. The overall number of customer outages for the entire City Light area has actually gone up. I suspect that melting snow chunks are hitting and bringing down branches on the power lines. The specific number of incidents is 106 affecting from 1 to 90 customers each. Check on your neighbors. 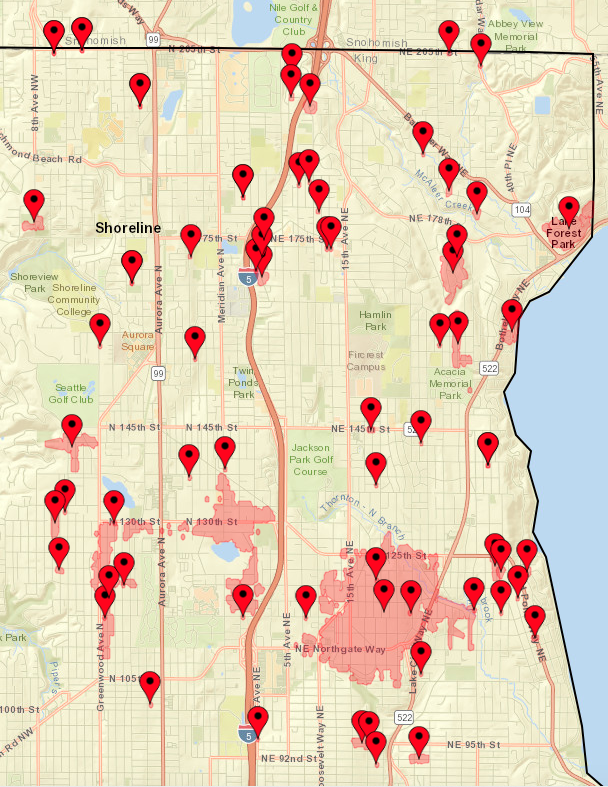 If you go to the Seattle City Light System Status you can enlarge the map to see specific properties.